Sergeant Oddball aka Yukari Akiyama is from the 6th Amoured Division in Girls Und Panzer De Film. Now I don't know anything about Girls Und Panzer but I do like the character designs, however I have put off picking up one as they are usually wearing ridiculous shoes and I just think they will be a pain to pose. But Yukari doesn't suffer from the weird shoes and so I decided to pick her up. I am glad to see that figma have brought their quality control back up to scratch as there are no faults with my figma and even though its a tight squeeze putting on her backpack doesn't transfer any paint. As for her sculpt nothing much to say except great as usual with very little restraint to her movement. The only complaint is that her hips are very tight which makes it hard to swap out for her seated version. Now she is light on accessories and hands but she has some nice facial expressions, I particularly like the eyes closed face. But for hands she only has the standard ones but with only one relaxed hand for some reason or is it a saluting hand? 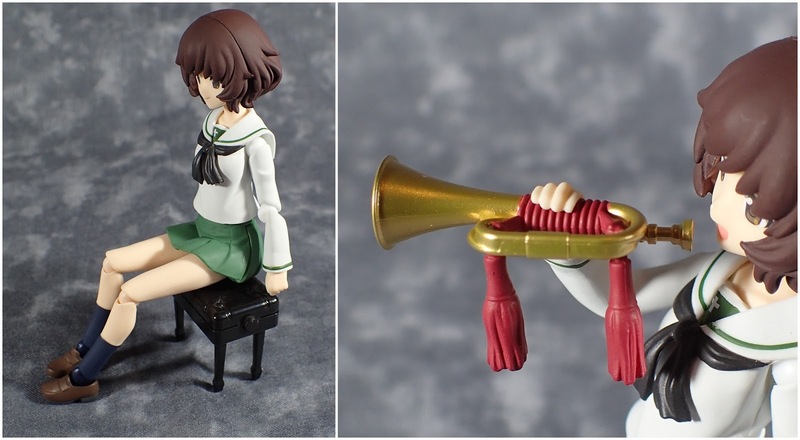 She does come with an alternative skirt however for sitting which is always welcome and I do like her trumpet, which comes with its own holding hand. 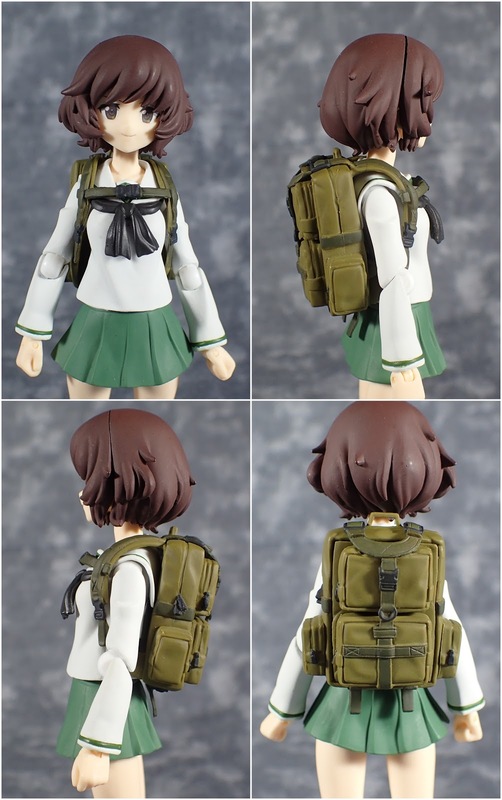 And then lastly their is her backpack which has some really good details and looks really cool. To put on however you need to take off her arms and head and even after that its a bit of wiggle to get it on. Despite her few accessories I am really glad I decided to get her, she is a good solid figure even if you are not a fan of the series.